All you need is a beach to have a Luau, its a good thing that the Resort has one! 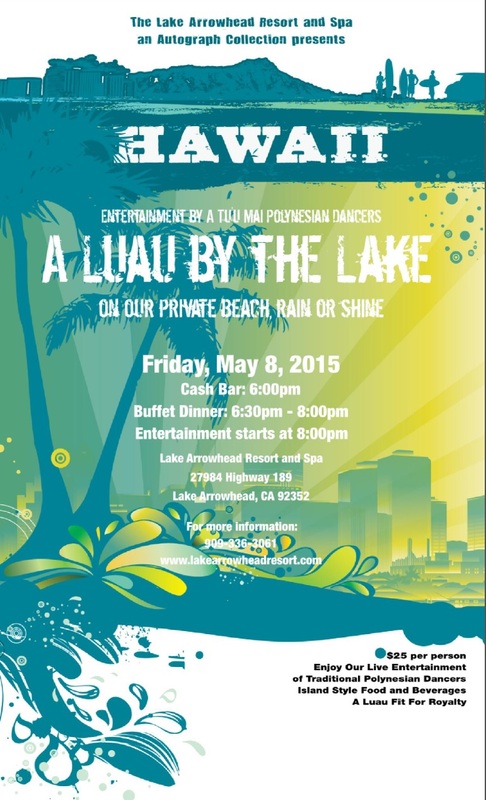 The Lake Arrowhead Resort is hosting a “Luau by the Lake” on May 8, 2015. There will be buffet dinner and Entertainment. Locals get a discounted rate at $19, or the general fee is $25. For more info contact the Lake Arrowhead Resort: 909-336-3061. Have fun shaking your grass skirt!